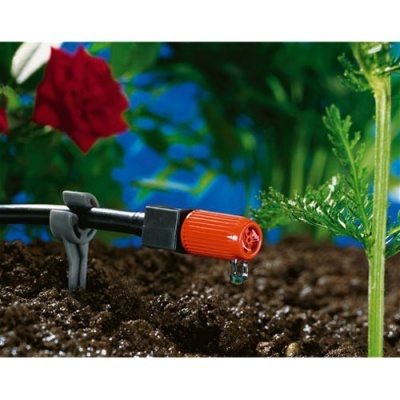 Gardena ® Adjustable Endline Drip Heads (0-20 l/h) Pack of 10 are designed to compliment the patented Gardena ® Micro-Drip Irrigation System. 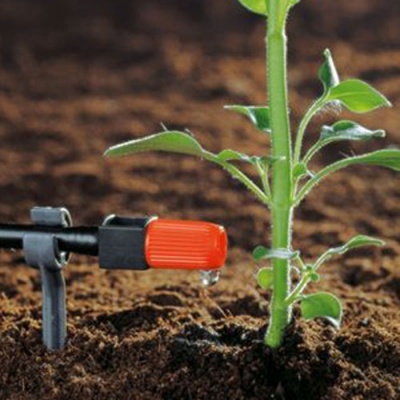 Set of adjustable endline drip heads supply spot irrigation of single standing plants or longer rows of plants with various water requirements. 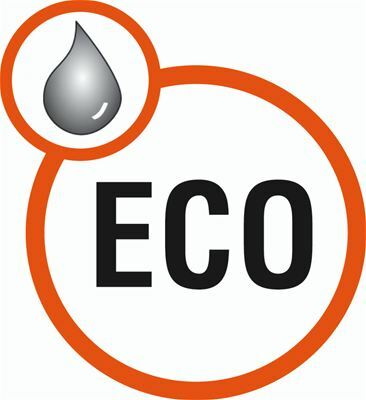 The water distribution quantity can be adjusted between 0 and approx 20 litres per hour. For the irrigation of single standing plants, the Endline Drip Head is twisted into the end of a (3/16") Supply Pipe. 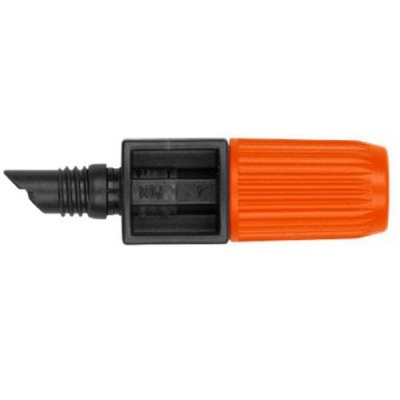 Additionally with the Installation Tool (8322-20) a 13 mm (1/2") Connecting Pipe can also be bored and the Endline Drip Head directly mounted. 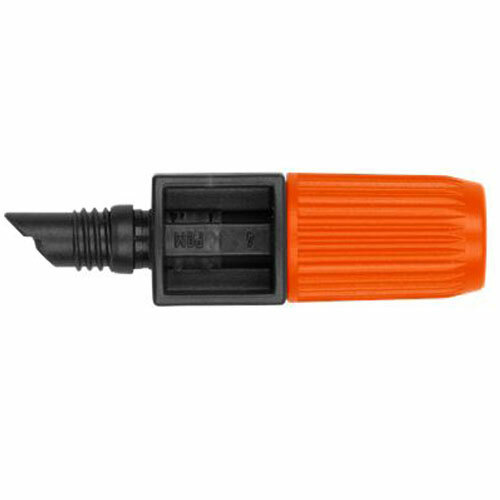 Drip head cap is detachable with an integrated cleaning needle to allows gardeners easy cleaning of dirtied drip head. 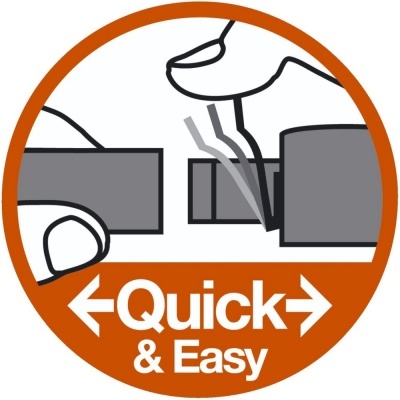 The patented "Quick & Easy" connection technology ensures especially easy installation to a 4.6 mm (3/16") Supply Pipe.